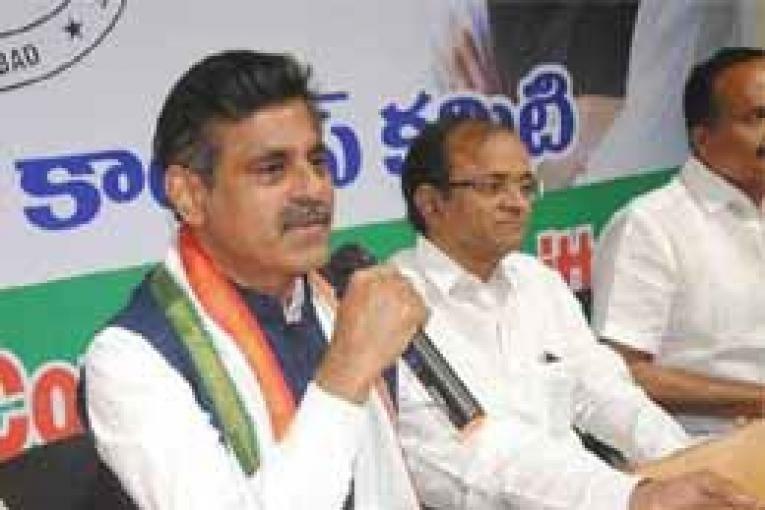 Hyderabad, March 18 (Maxim News): Congress candidate from Chevella Lok Sabha constituency Konda Visweswar Reddy on Monday called upon party leaders and workers to work against the flow of illegal money and EVMs in the upcoming elections to ensure his victory in the constituency. Addressing party workers at Dharoor mandal in the constituency, Konda Visweswar Reddy predicted that the Congress would form government in the State after the elections. He said the entire country was looking towards leadership of Rahul Gandhi. He said the party was trying to ensure unity of all the people of the country and the rival parties like the BJP and TRS have lost their credibility in the State and the country. He said the TRS did not have a strong candidate in Chevella.